Riteway Transports has been moving and transporting heavy equipment and over-sized structures for over a decade. With our level of experience and expertise in Heavy Haul Trucking, and over-sized transport, we can provide you the confidence and assurance that your transport needs no matter how large will get there quickly and safely. We make it our mission to provide excellence in everything we do. We have one of the largest specialized heavy haul fleets in North America with a large variety of trailers and configurations to accommodate and heavy haul or oversized transport project. We have the ability to offer the best equipped trailers and equipment to meet and specific requirements. We design a comprehensive plan for all specialized loads and work closely with our clients to fully understand the intricate detail of the shipment. Once the details have been established and an appropriate trailer is selected, Riteway will get busy conducting site and route surveys to deliver your heavy haul or oversized load safely and efficiently. With our highest quality moving and transportation equipment and team of professional drivers, we can solve and all of your complex heavy haul transportation needs, including all requirements associated with the permitting process. 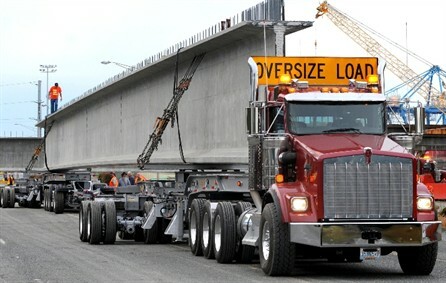 When you have a heavy haul project, you want it done quickly, safely and within budget. Our nationwide fleet of heavy haul and specialty trailers and their drivers are available from our hubs across the US.